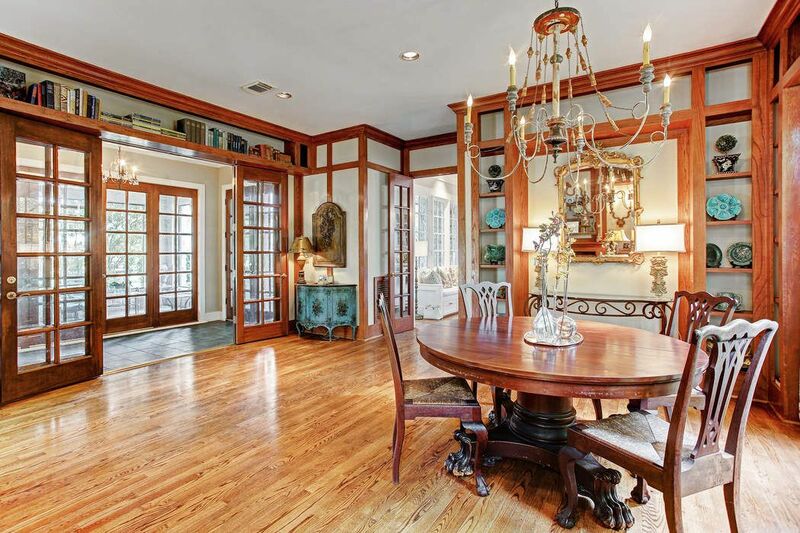 3222 Georgetown Street, Houston, TX 77005 | Martha Turner Sotheby's International Realty, Inc. Welcome home! 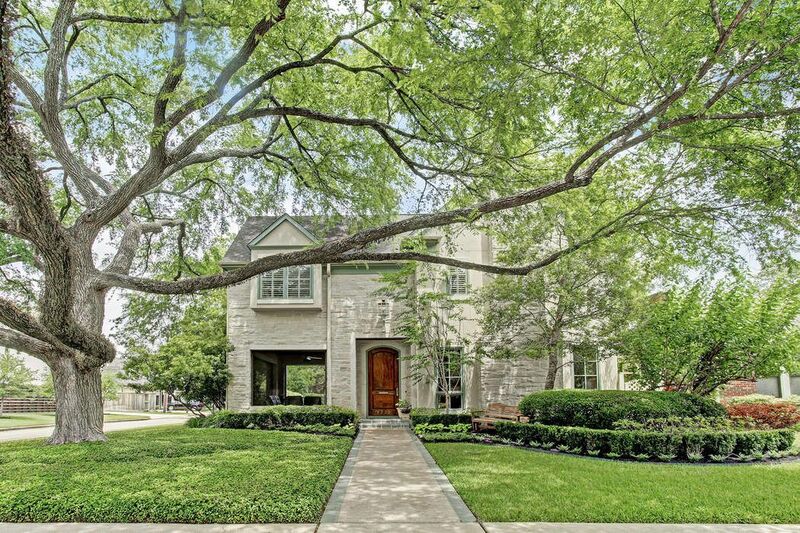 This home was built by Michael Kelly and sits on a beautiful 7500 square foot corner lot on beautiful Georgetown Street! 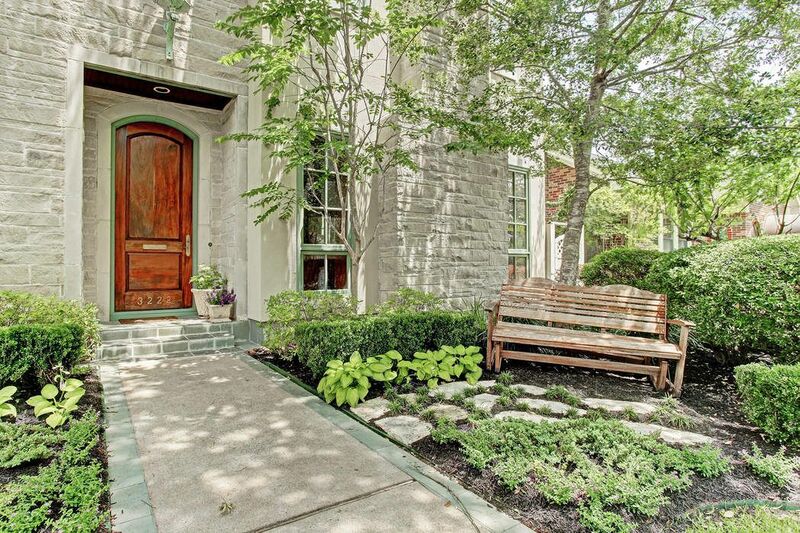 Many architectural elements enhance the West University home and are revealed as soon as you open the door! Front screen porch is off of the entry and overlooking the pool! Features include stone surround, slate floor, wood ceiling, fan, and shaded with lush landscaping! Wonderful space to drink your morning coffee or enjoy a glass of wine! Kitchen has plenty of storage space, glass cabinets, gas stove, double oven, side by side refrigerator, and instant hot water at the sink! Not to mention, stunning views of the pool and loads of natural light! Patio outside of the kitchen is perfect for dining! A perfect spot to sit and watch the kids swim and catch the beautiful Houston sunset! View of the screen porch area leading to the garage and detached quarters. 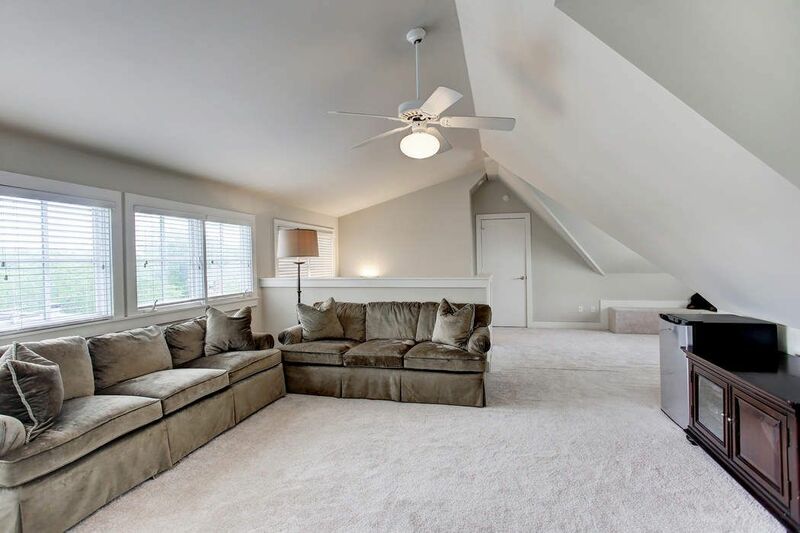 Spacious den has beamed ceiling, wall of French doors and windows overlooking the pool, gleaming hardwood floors, fabulous wood accents, built in cabinets, and amazing light! 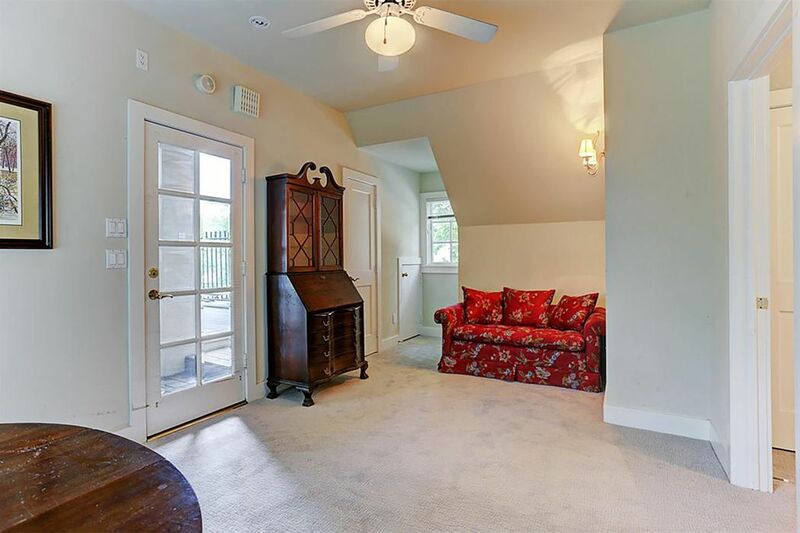 Dramatic second floor master with Tom Wilson soaring ceiling and moldings. Just imagine curling up on the window seat and viewing the majestic elm in front. 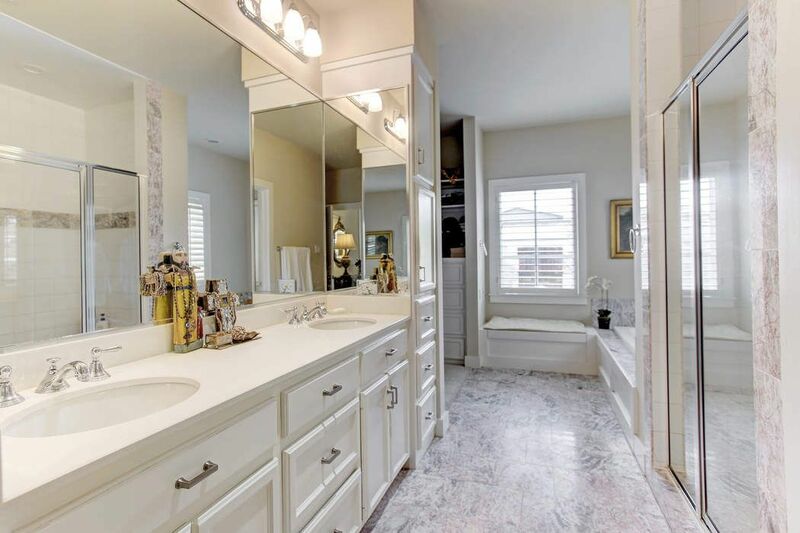 Master bathroom with marble, dual sinks, large shower, whirlpool soaking tub, and private water closet. 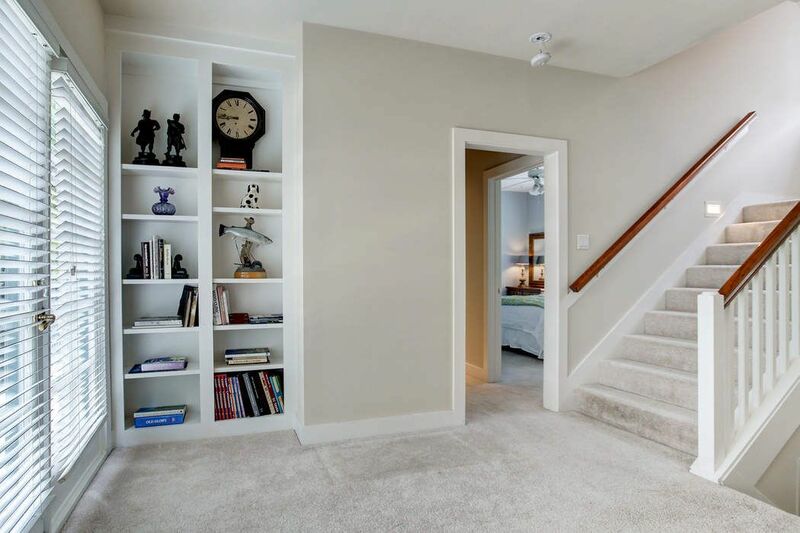 Huge master closet with 2 entrances. Have to see to believe! Stunning curb appeal! Walk way lined with slate welcomes your guest! Professional landscape compliment the front elevation. 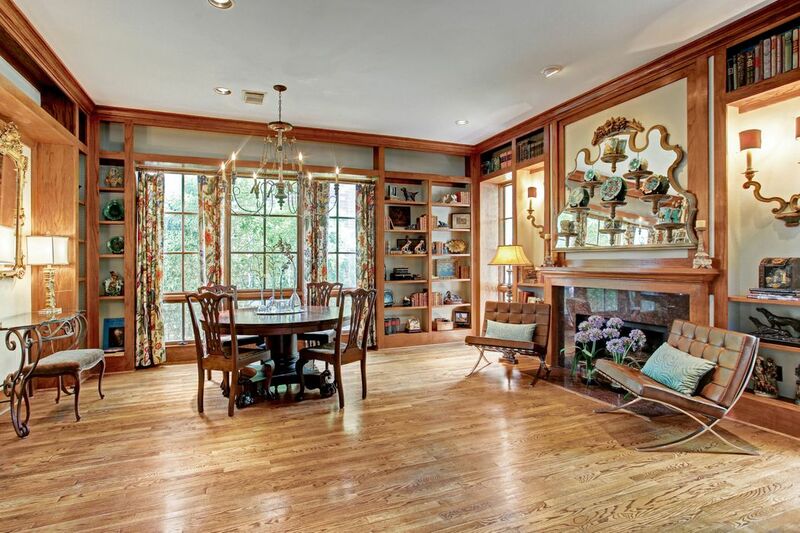 The flexible front room could also host a breakfast table or be a formal living room. This home can fit your needs! 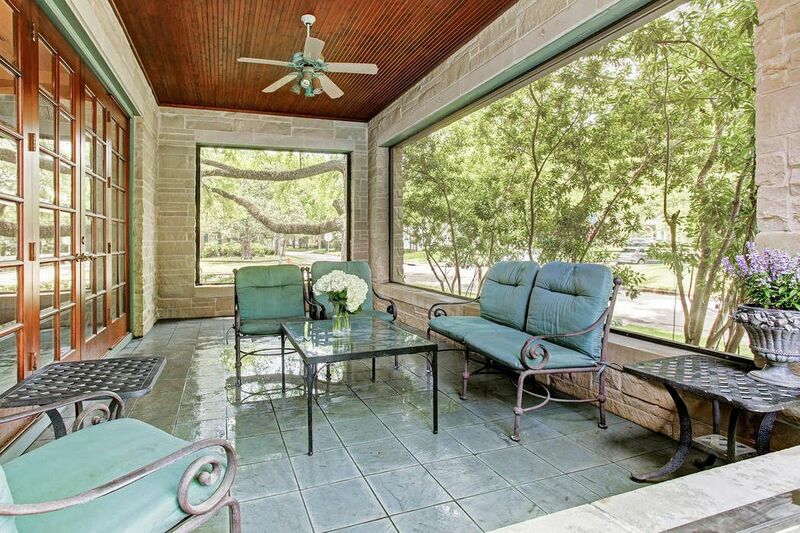 This view shows the entry and screened porch. 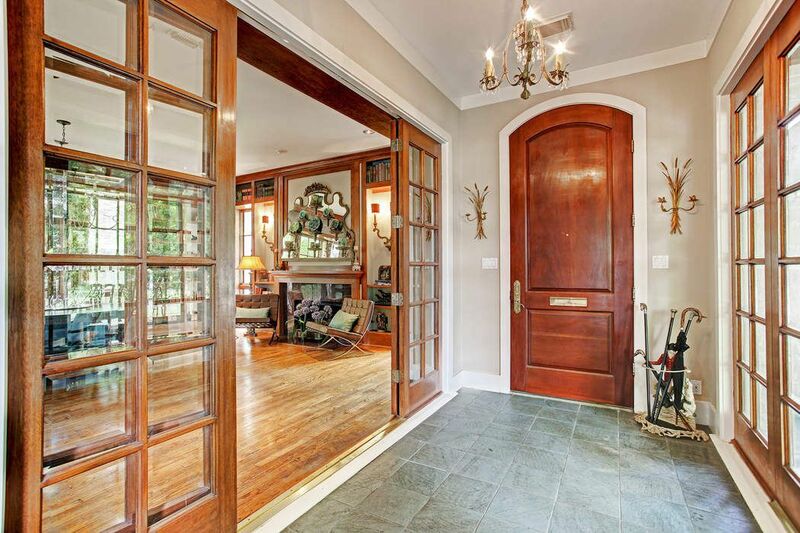 All of the French doors on the first floor have beveled glass and are made of mahogany wood. The beveled glass is tempered meaning it is stronger than normal glass. 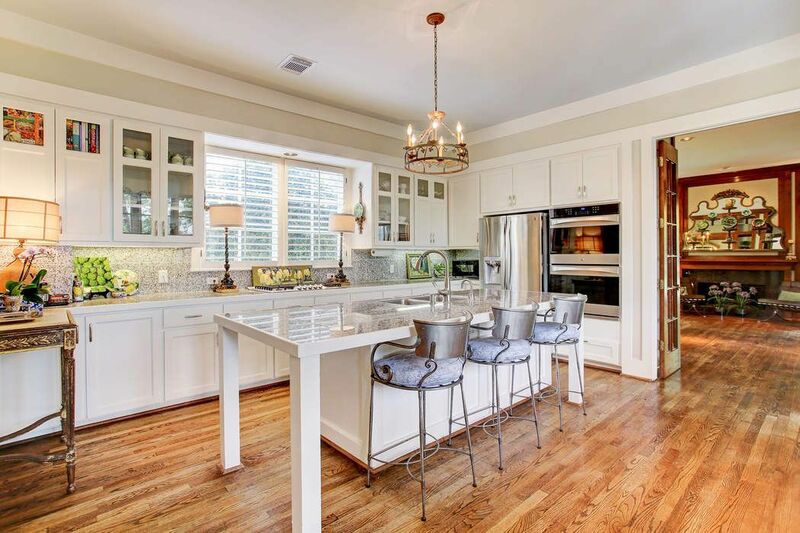 Chefs kitchen with granite countertops, island with room for 3 bar stools, and large walk in pantry! Pantry has additional storage that goes under the stairs! The large den has built in bar area and a window seat! 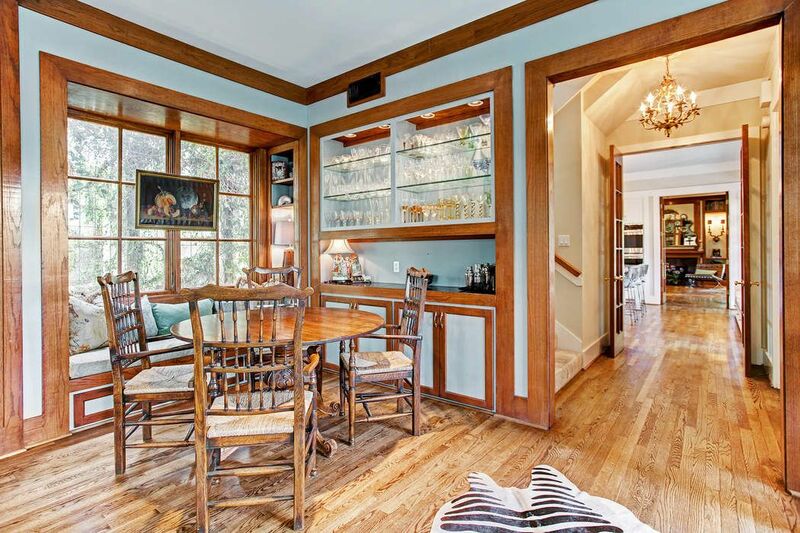 Tom Wilson's trade mark are his window seats which are in the kitchen, dining area, and master bedroom! Guest bath room is in between the kitchen and the den. Door leads to the screened in pool area to service both pool and home! Guest bathroom has a shower as well! 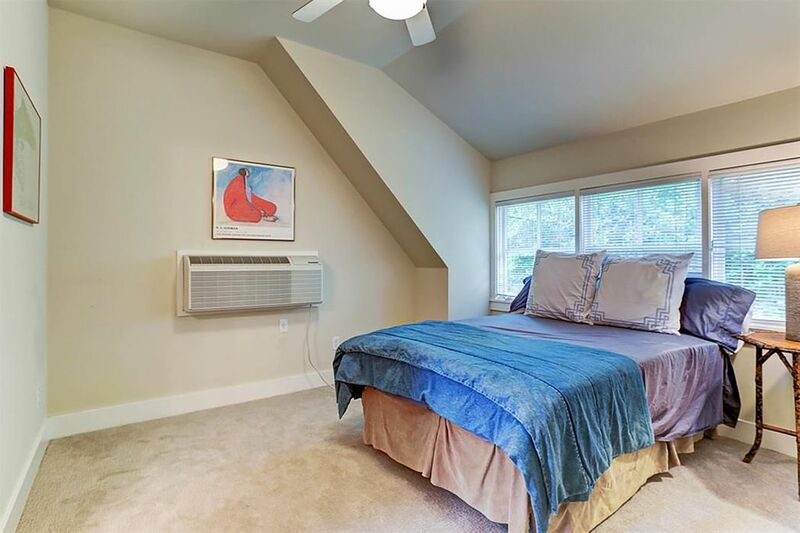 Secondary bedroom with nice size closet, large window, and ceiling fan. 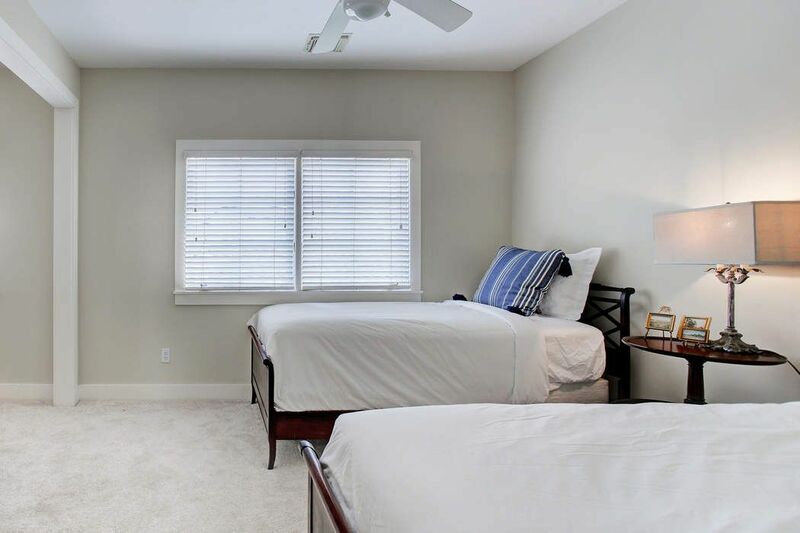 Secondary bedroom with nice size closet that has a secret ladder that leads to the third floor game room! Darling feature for the little ones! Secondary bedroom with extra space for an office or seating area! Nice space! 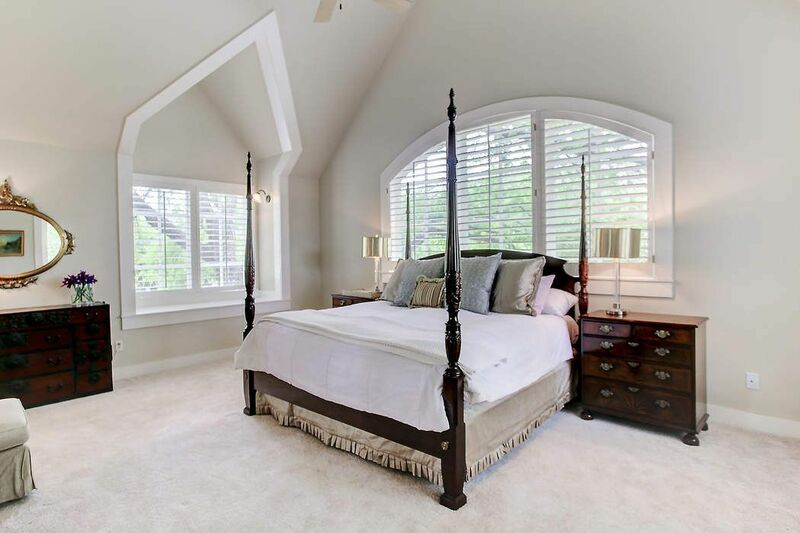 This bedroom has another nice size closet and it has a cut out to crawl to the other secondary room. Have to see! This is a wonderful family home! Another view of the bedroom and door to the right leads to the en suite bathroom and hall. 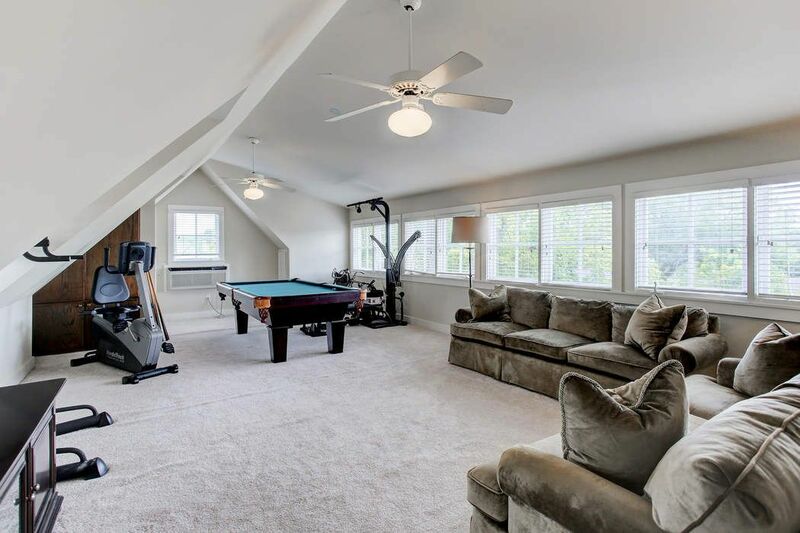 Third floor game room has plenty of room for playing pool (pool table can stay with the house), gaming, and exercising! 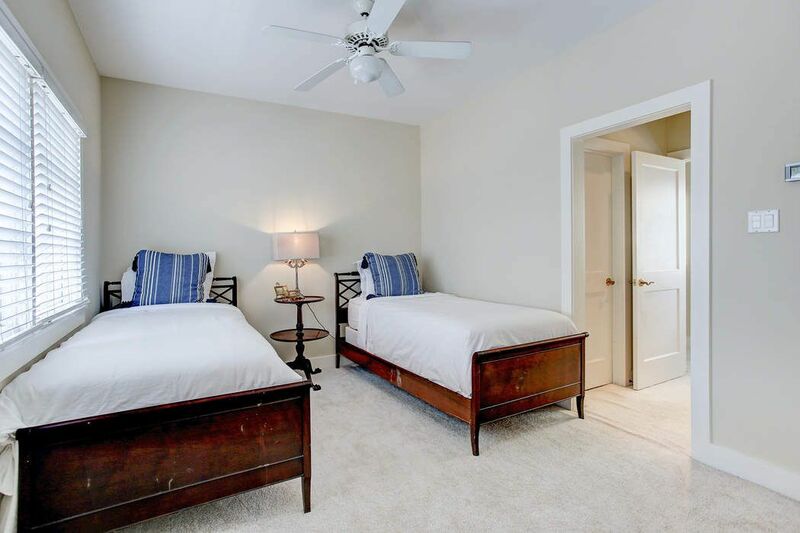 Game room has large cedar closet, 2 fans, and Hotel unit combining central air and heat! Fabulous views of the neighborhood from the windows! Not to mention the secret entrance from secondary bedroom. There is also a secret entrance from secondary bedroom to the game room! Fun for kids! 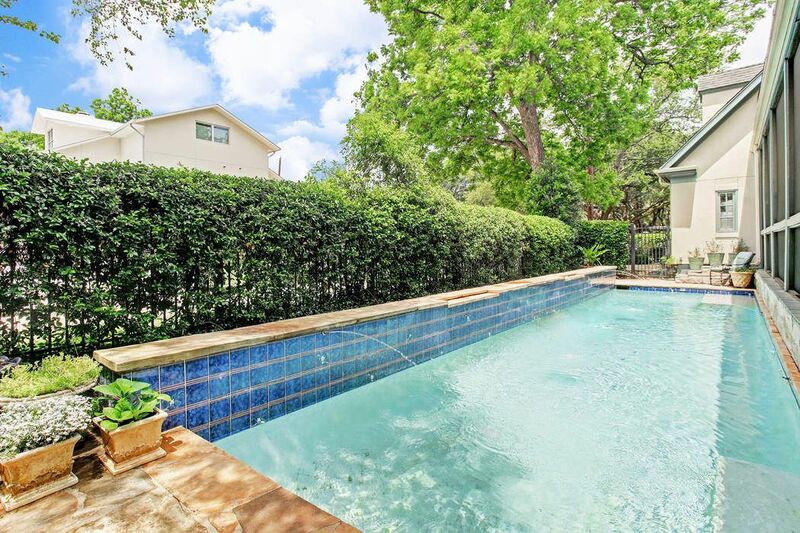 Lap pool that was retiled and re plastered in 2005 features 2 waterfalls and 3 additional water features! The pool is heated for year round enjoyment! Kitchenette with room for a stove! Wall of windows with tons of natural light! Living among the trees feels like a tree house! Nice size bedroom with hotel unit combining central air and heat system. Guest will never leave this darling space over the garage! 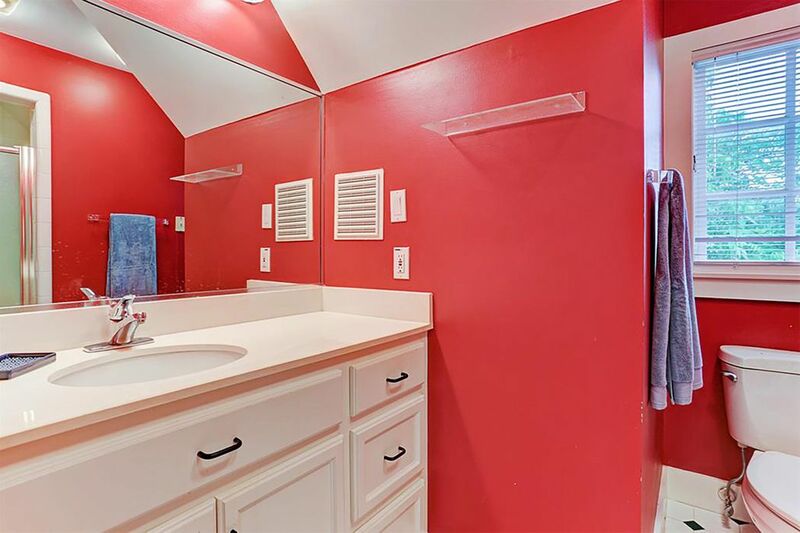 Quarters bathroom with fun black and white tile, red walls, shower, and lots of storage! The quarters square footage is not included in the home square feet. This is an added 700 SF! Come on over and stay a while! Another view that shows the privacy of the area! Such a peaceful space to relax. 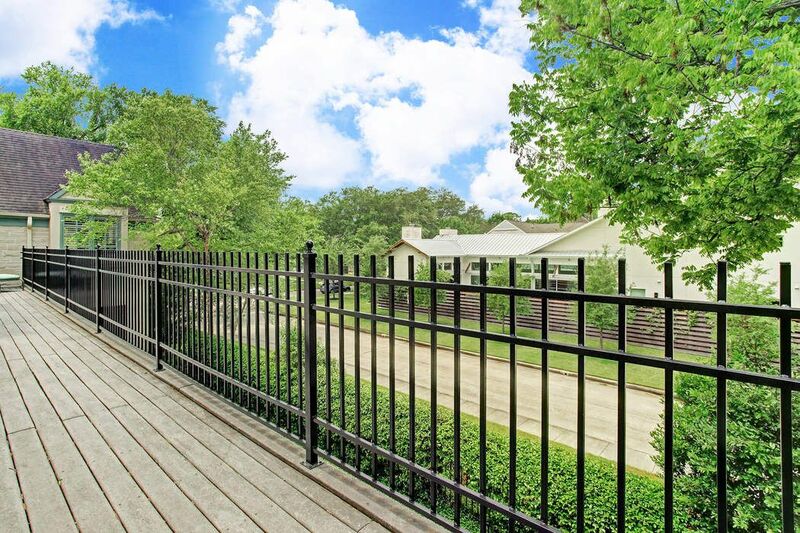 Fabulous corner lot in one of the most sought after locations in West University! 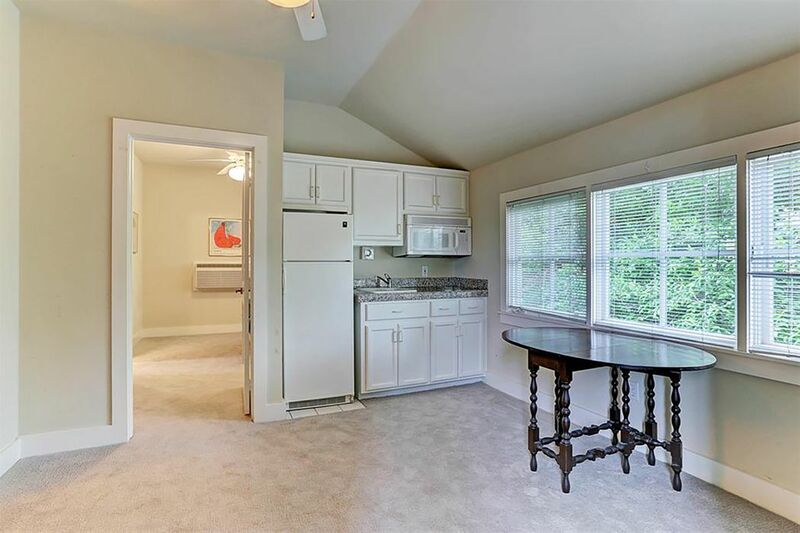 The home has an oversized two car detached garage with room for a work bench and extra storage! You can see the quarters above the garage to the left! 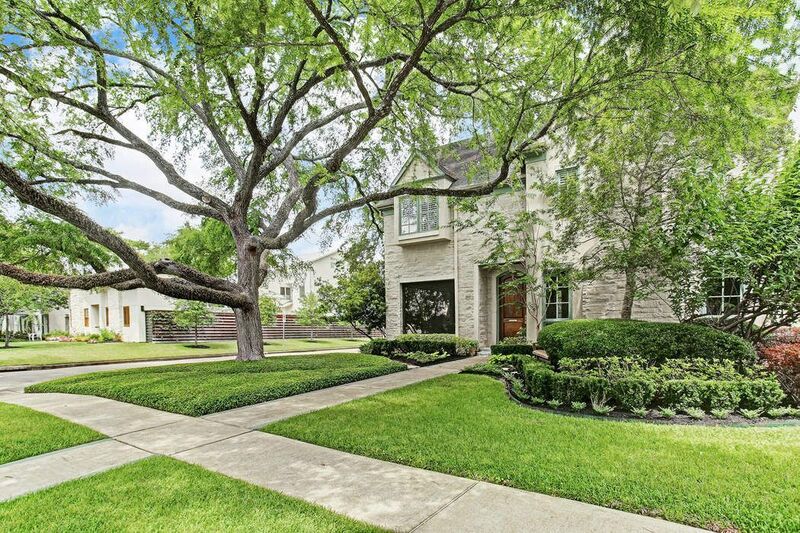 This house has amazing curb appeal with the large Elm in the front yard! Come have a private viewing! Stunning! 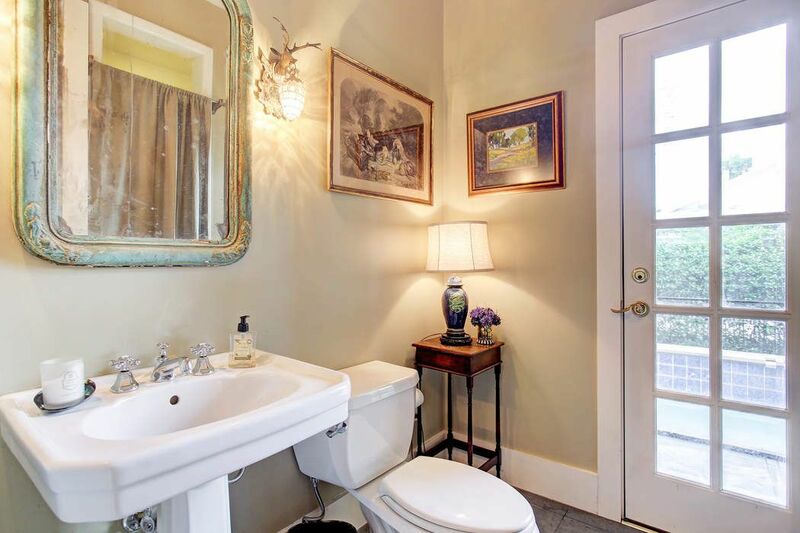 $1,640,000 4 Bedrooms5 Full / 1 Partial Baths5,001 sq. ft. 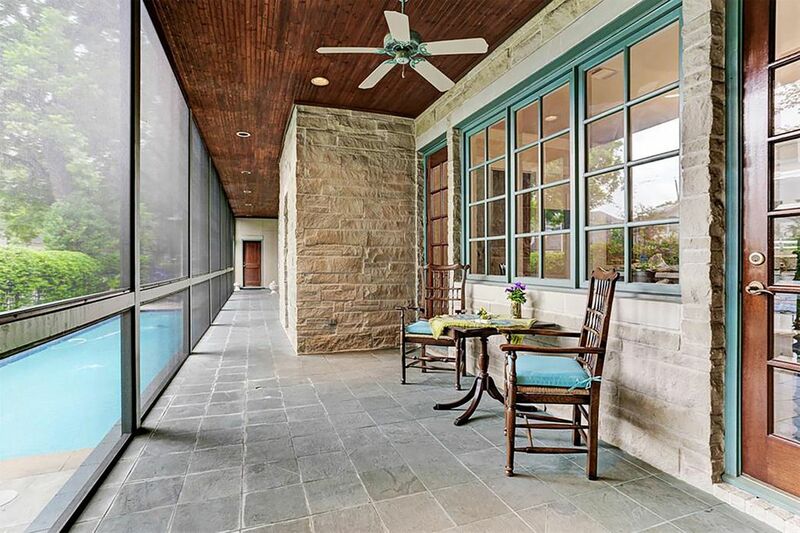 Distinguished finishes complement this Tom Wilson designed home. 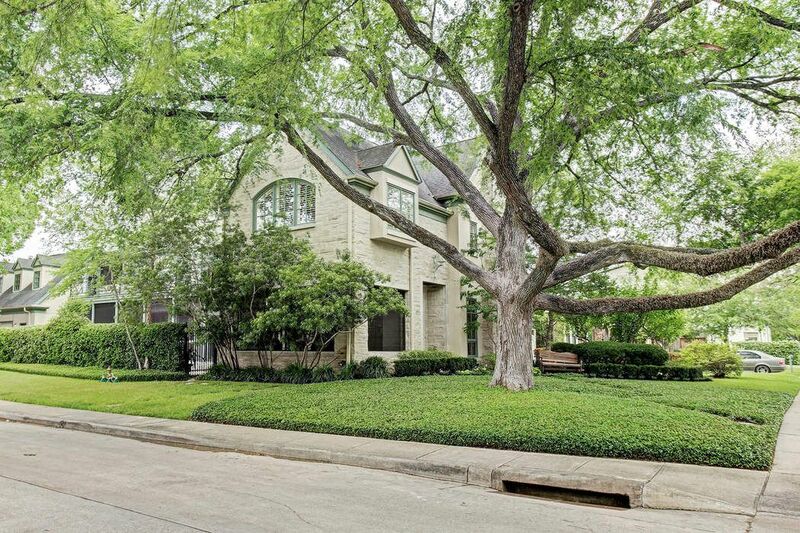 This unique West University home sits on a great corner lot that includes approx. 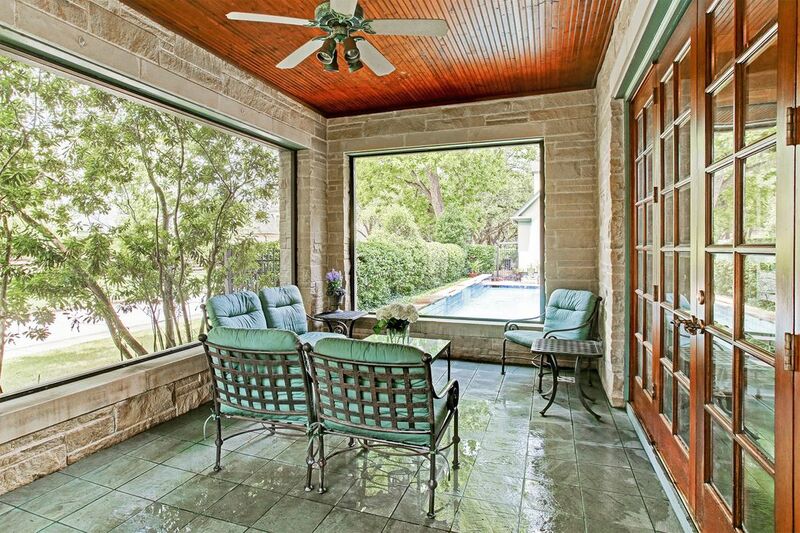 813 square feet of inviting screened porches surrounding the lap-size pool. 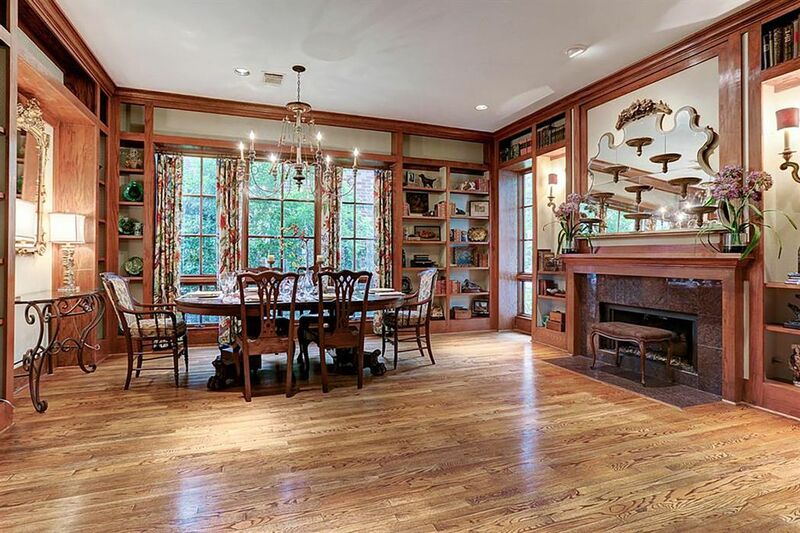 Features include: Unparalleled living/dining with custom red wood bookshelves and fireplace. 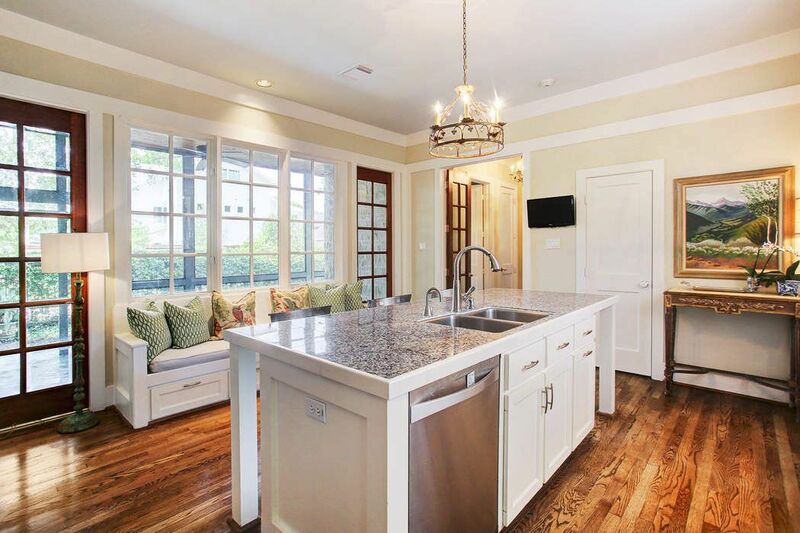 Island kitchen with granite, stainless steel appliances including 5-burner gas stove, glass front cabinets, and built-in window seat. 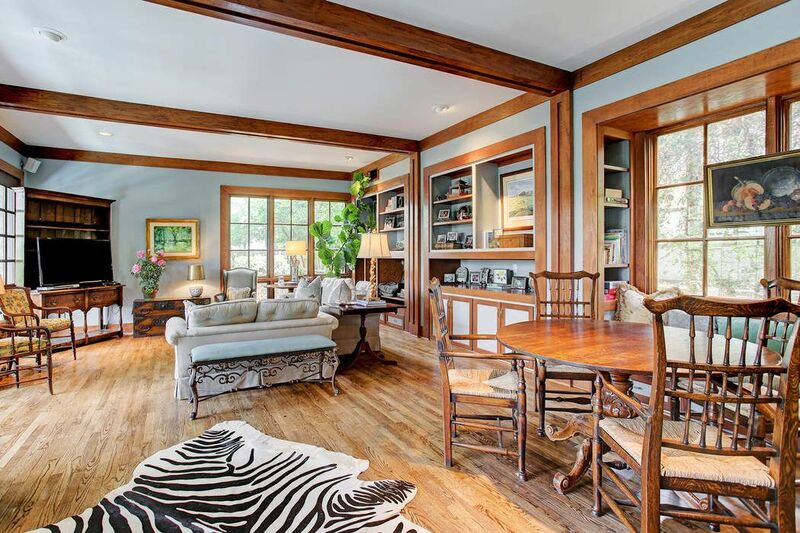 Large light-filled family room with wall of French doors on first floor featuring mahogany wood with beveled glass, gleaming hardwoods, as well as views of the pool from every room. 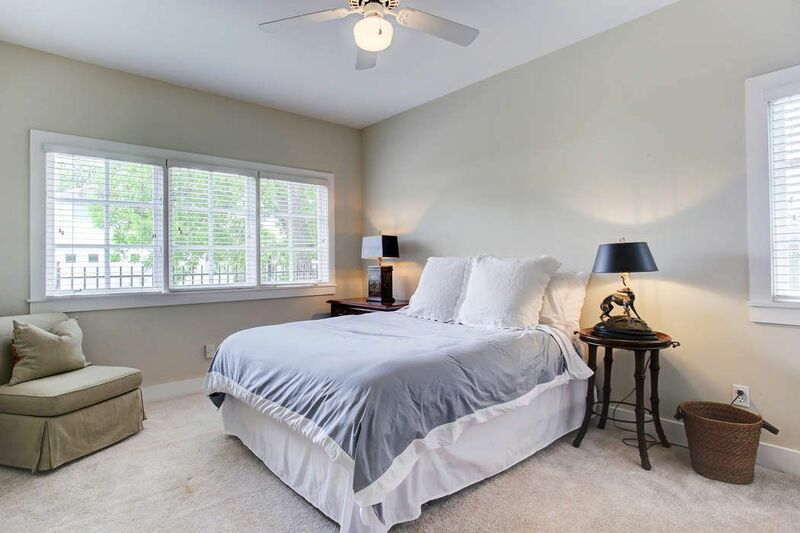 Elegant master with soaring ceiling, huge walk-in closet, expansive master bath with dual sinks, shower, and whirlpool soaking tub. 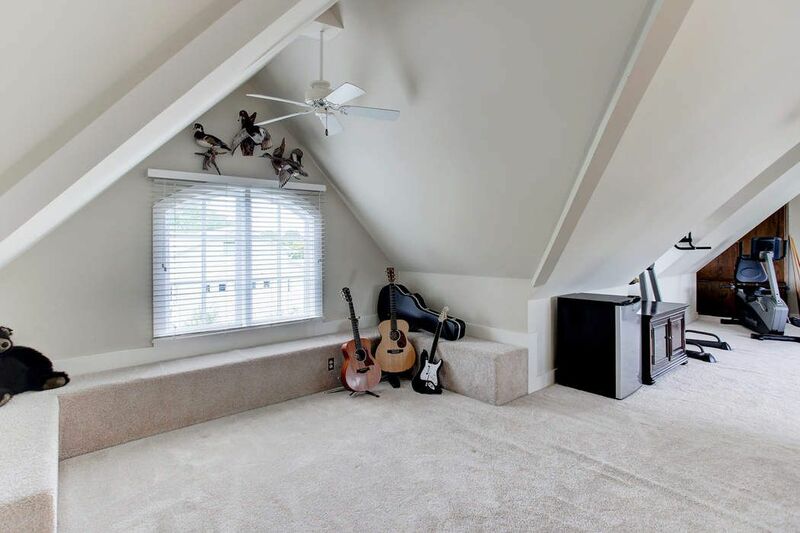 Third story game room. 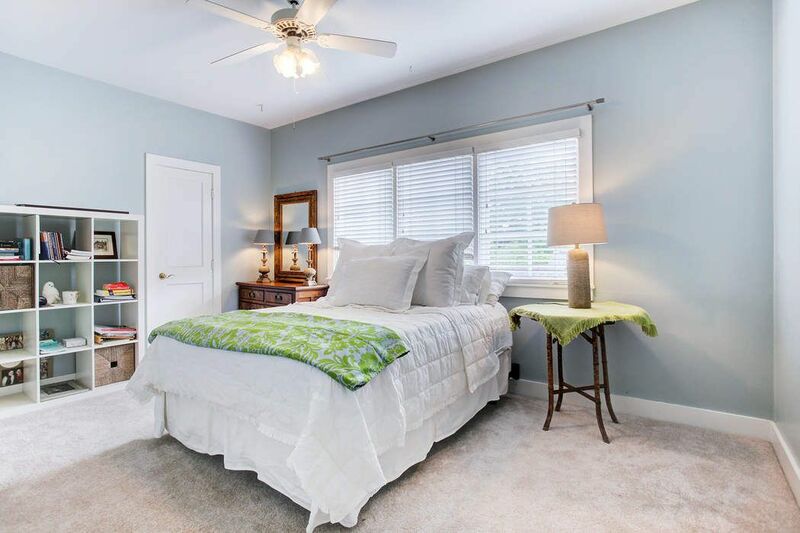 Separate 2-room quarters with private entry and kitchenette. Enjoy sunsets and stargazing from the expansive porches. 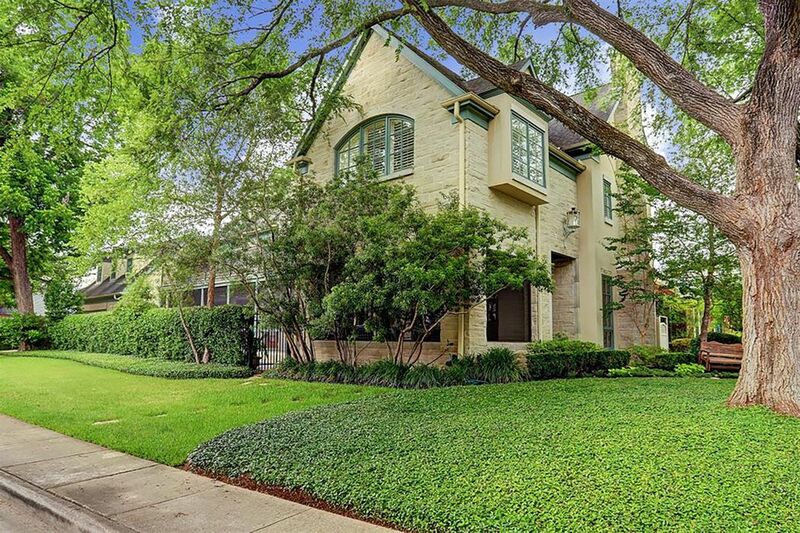 Prime location allows walkability to West University Elementary and several quaint restaurants including Tiny Boxwoods No 5.